This past weekend the UDS All-Star Training Club sent 60 athletes and 20 coaches to the Ohio Special Olympics State Championships in Columbus. 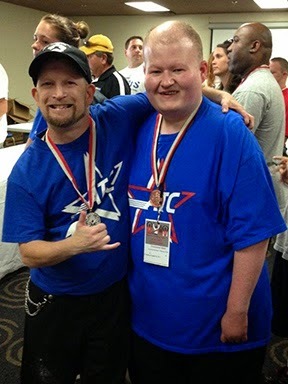 ATC was represented in four different sports: unified bocce, two unified soccer teams, unified and individual track and field events, and bowling. Our representation at Special Olympics made us the sixth largest program in the State of Ohio! 2014 Fall Brochure Coming Soon!